Almaty is the city of love! 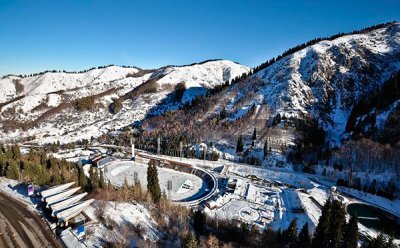 The first is one of the most pictorial places in whole Kazakhstan - skating rink Medeu surrounded by incredibly beautiful scenery of grand mountains with snow-capped peaks and the diverse of perennial trees. Another place is the "Bridge of love " near the Old Square. 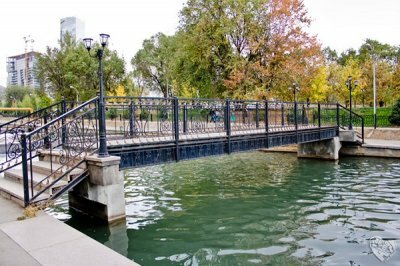 This symbolical name bridge got because a lot of loving couples come there to put the symbol of love - a lock. This bridge is situated in the center of the city between Tole Bi and Bogenbay better streets. Also, there is a lovely pond which you can admire from this bridge. 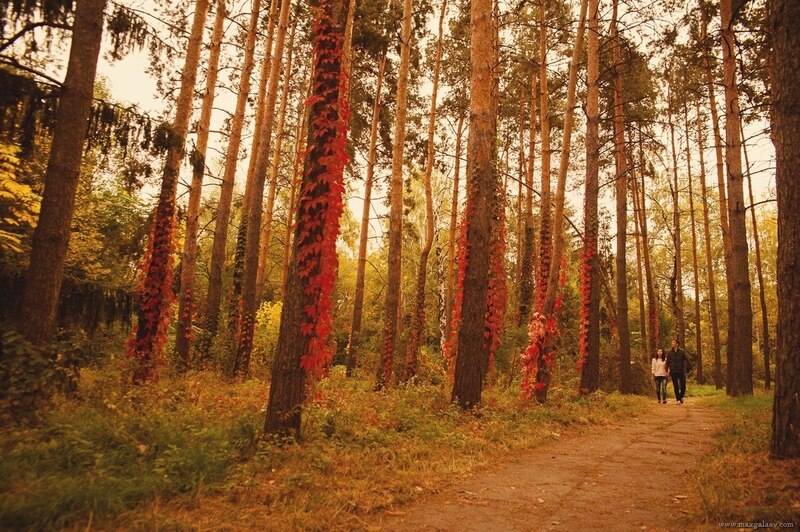 Once you visit Botanical Gardens, you'll never want to leave it. There you can feast your eyes upon wonderful flowers and trees. In the collection of the garden a hundreds of sorts of roses, asters, tulips, lilac and other plants. It is very clear there. And the walk around Botanical gardens disposes to the harmony with nature. Also in the greenhouse there are about 1000 types of exotic plants - palm, banana trees, bamboo, cactuses and other tropical kinds. You'll never forget such an unusual date. Address : 48 Timiryasev street. 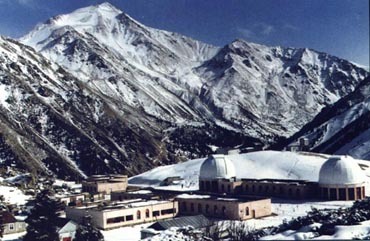 Visiting Astronomical Observatory situated on the Stone Plato gives you an opportunity to watch the strars with you boyfriend or girlfriend. Such a starry and perceiving evening will stay in your memory forever. Stellar glade is a perfect place for the datings and declarations of love. There you can see all the constellations. The whole city is spread before the eyes. 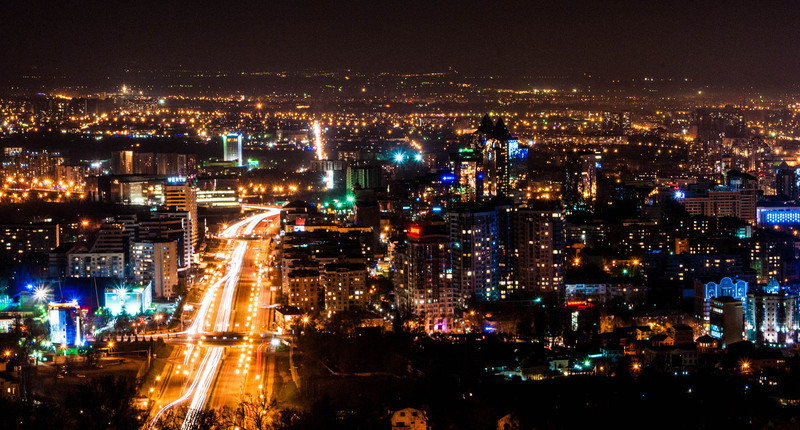 Marvelous panorama of the lighted Almaty. 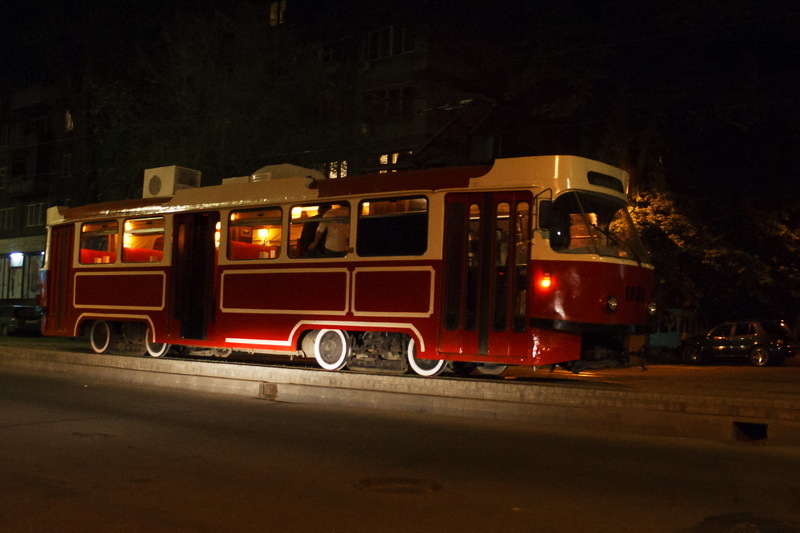 It is situated on the Navoi street near the police office. Two other places which can make you smile are "Enamoured Traffic Lights" and "Bench of Reconciliation" . Traffic lights on the intersection of Gogol and Furmanov streets will prove that our city has a heart as all its citizens! So wonderful post! I think it`s useful! I'm surely confident that your weekend are always interesting! thanks for all! I'm in love with Almaty!!!!! 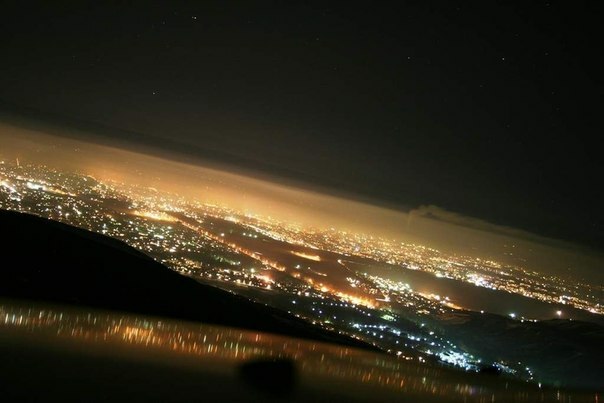 very good quality of images, and it was interesting to read about such a beautiful city.